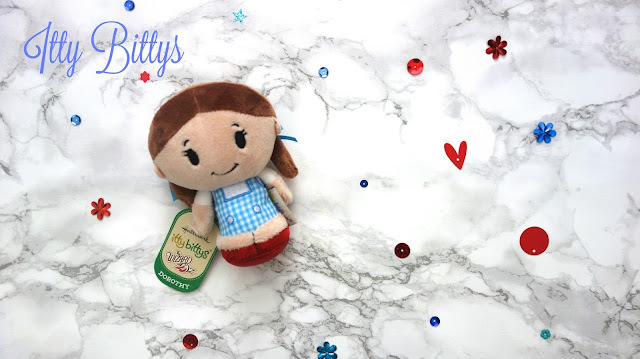 Itty bittys are gorgeously soft, plus toys from Hallmark that have been taken by storm over in the USA and Canada and they are finally making their way over to the UK. Adan Chung sketched a quick interpretation of what popular characters could look like if they were just a bit “itty bittier.” Soon, Adan’s simple-but-fresh portrayal of popular licensed characters inspired an entire collection that continues to grow. Now within the itty bitty family, are some of the most iconic characters of all time, with many more characters on the way. With their small stature and super-cute style, they make the perfect gift or stocking filler. Even if it’s a treat for yourself itty bittys are perfect for every occasion. itty bittys may be small but there’s certainly a whole lot to love! The current collections available in the UK are Marvel, Star Wars, Wizard of Oz and DC Comics. The Wizard of Oz collection is currently my favourite. I actually discovered Itty bittys by chance as I was on a website buying a main item and to get free delivery I only had to spend about £5 more, so I went looking around the site. What should I find but these gorgeous Itty Bittys. I just had to get the scarecrow from the Wizard of Oz collection as he just looked adorable, and when he arrived, he was even more cute that I originally thought. After posting a picture of the lovely scarecrow on my Instagram, I have since been sent the lovely Dorothy and I love her sparkly red shoes. 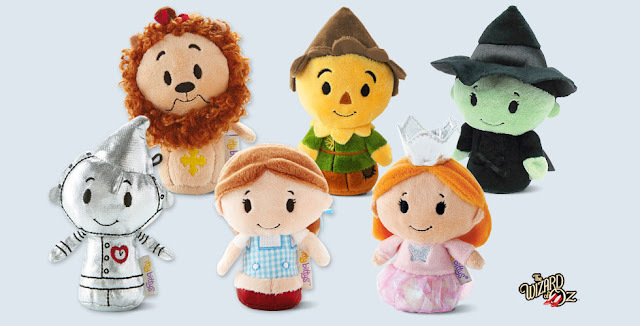 I now want to collect all of them in the Wizard of Oz collection, I think the Lion is my next purchase. These honestly make for great stocking fillers and great presents in general. These are now my new equivalent to my Pop Vinyl obsession and they are better in my opinion as they are nice and cuddly. I cannot wait for more to be released to the UK. You can find out more about Itty Bittys here and are available to purchase on amazon or lots of independent stores around the UK. Thank you to Brook at Visibillis Agency for sending me Dorothy to review.